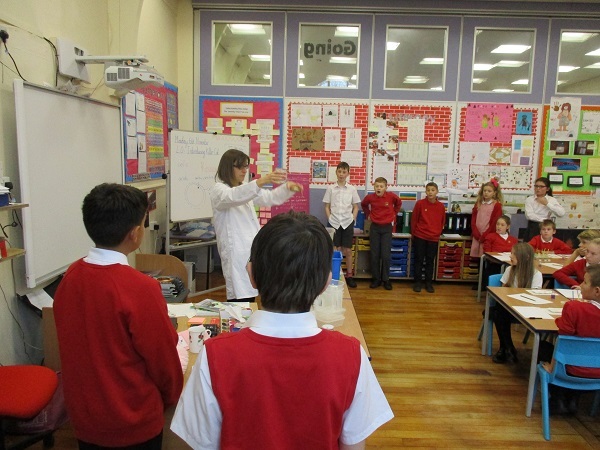 The Exploring Science Day is a full day workshop organised by Lorelly Wilson, owner of Chemistry with Cabbage. 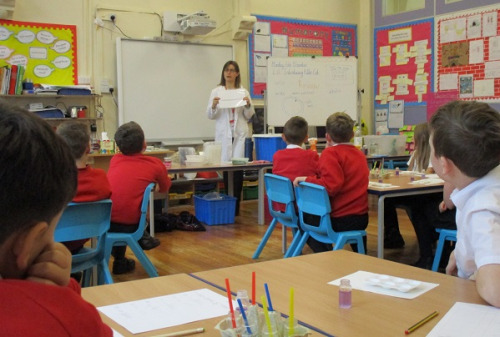 The year 5 and 6 classes at Dinting Primary School experience a full day of real hands-on chemistry. They bring in the equipment and household chemicals for each child to do their own experiments and work with a class all day. 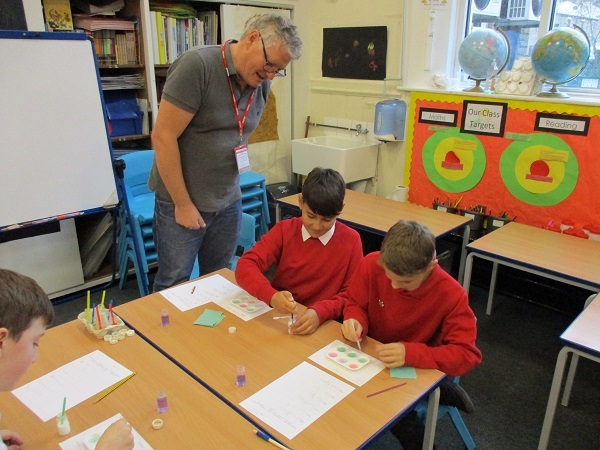 The children make indicators, test household chemicals, look at the properties of acids, do reversible and irreversible changes. It covers KS2 materials syllabus, including evaporation, condensation, melting, dissolving, reversible reactions and states of matter. For more information on Chemistry with Cabbage please click here and click here for more information on the services available from Plater Production.